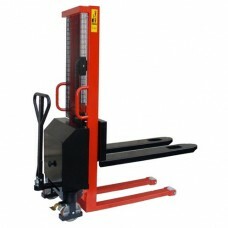 - Lift heights from 2500mm to 3700mm. Available in either wrap over fork or straddle leg design. - Available in either wrap over fork or straddle leg design. 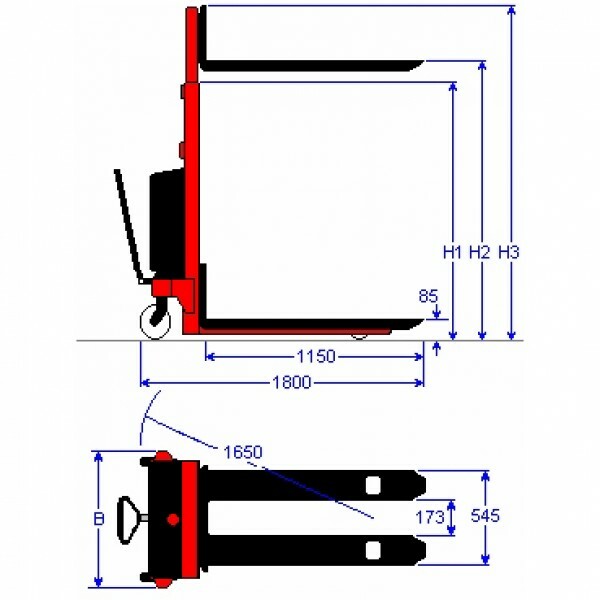 - Standard wrap-over forks are generally for the use of open-boarded, Euro pallets but all machines can be fitted with adjustable width forks to 800mm overall width on class II carriage. This also facilitates the use of standard forklift attachments. - A very reliable power-pack is coupled to a high capacity battery to give an effortless lift. - Built-in charger means that the truck can be charged from any standard 13 amp mains socket. 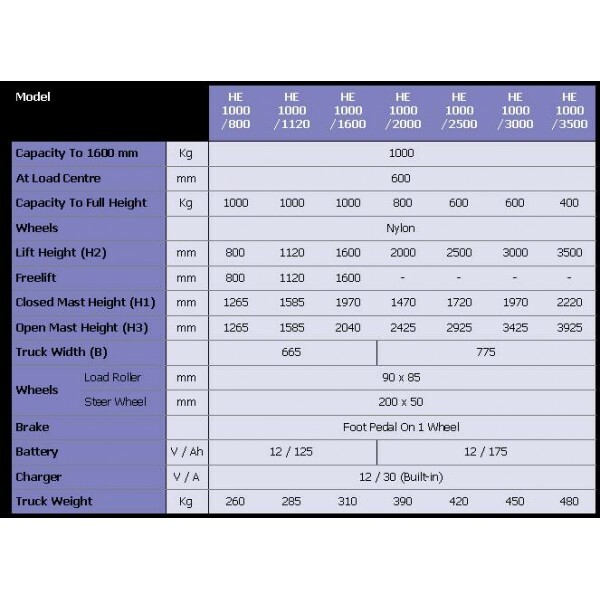 - Quality nylon wheels are used throughout with other wheel types available upon request.